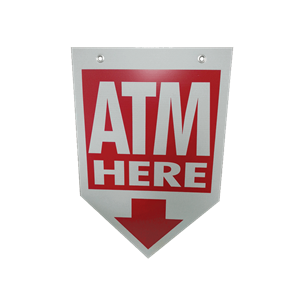 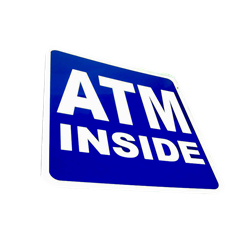 ATM Coroplast Sign is arrow shaped and is a durable weatherized cardboard that will look great at your storefront windows. 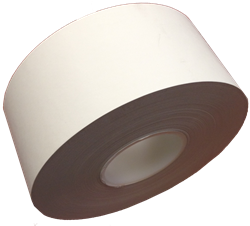 It's a twin-wall polypropylene sheet and only 17"x23". 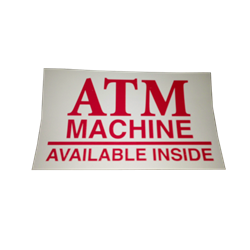 Coroplast signs are a lightweight and cost-effective visual communications solutions and can be used indoor or outdoor. 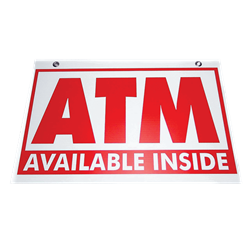 Made of durable weatherized cardboard, let everyone know you've got an ATM. 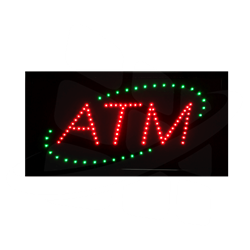 Looks great in storefront windows. Coroplast® signs are ideally suited for a wide variety of indoor and outdoor uses. 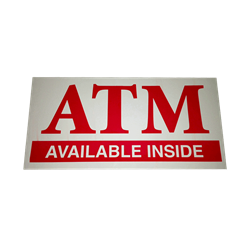 They are made of an extremely versatile extruded twin-wall polypropylene sheet. 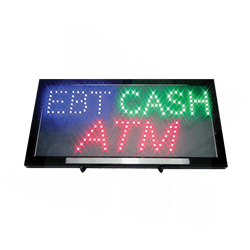 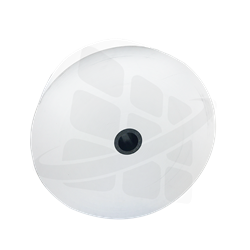 Coroplast signs are a lightweight and cost-effective visual communications solution.